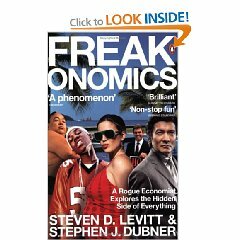 I know little about economics but from what I can gather economists know not a lot more. A refreshing and intriguing read. In the last edition he produced these logos which he attributed to Gerard MacNamara of Schumann Associates. When in doubt, Alun, show up early. Think less. Feel more. Ask once. Give thanks often. Expect the best. Appreciate everything. Never give up. Make it fun. Lead. Invent. Regroup. Wink. Chill. Smile. And live as if your success was inevitable, and so it shall be. Is this any way to run 1) a Business 2) a Health Service? Trust blames IT for £10m loss. Royal Free Hampstead Hospital trust has lost as much as £10m due to problems installing a new digital care records service, its chief executive has claimed. The trust was the first to attempt to go live with the Cerner LC1 system for managing patient admission, transfer and discharge details in June last year. But a series of problems meant appointments could not be booked automatically and bills for work done were not sent to commissioners. Chief executive Andrew Way said the trust had spent £4m on trying to fix the problems and had lost another £6m through taking fewer patient referrals and not being able to bill for work. The trust’s latest board documents show it blames its IT problems for the “majority” of its monthly £1.8m underperformance against its plan. But they also reveal that the trust hopes to recover some of this, in part through catching up on invoicing. “Over the coming weeks and months we will be adapting its use to the way in which our staff want the system to work to enhance the services we provide to our patients. The basics….well that’s alright then. So there’s no Weekend Read as I’m catching up on the reading. For the Monday quote have a whole poem here. Take three minutes and smile here.